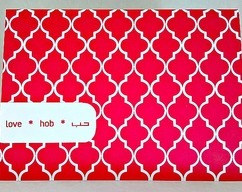 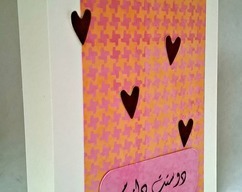 This Arabic card has the words I Love You (to a female*) placed in a corner of a card that opens right to left. 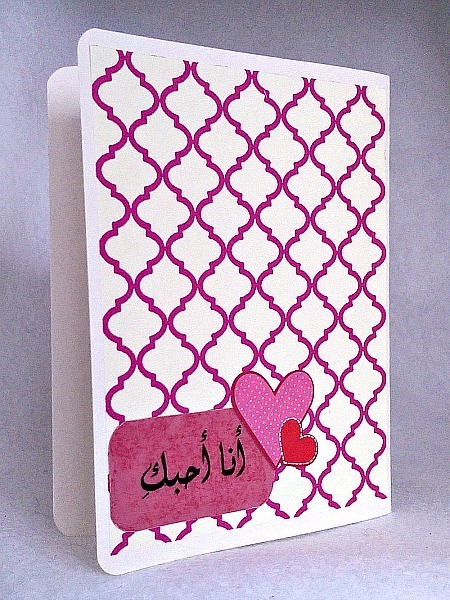 I've added a red and beige arabesque background with the words Ana Ahibbuki - I love you in Arabic - placed on top in the lower left corner of the card. 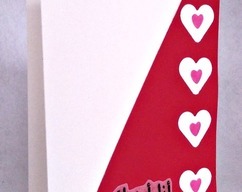 The words are on vellum, which has been added to red cardstock and corners cut to match the card. 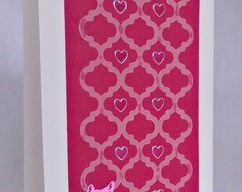 Two hearts have been added to the top.